Aster DM Healthcare Ltd, which runs hospitals spread across India and the Middle East, has filed its draft red herring prospectus (DRHP) with capital markets regulator SEBI to float its initial public offer (IPO). Buoyed by a string of successful public issues by healthcare companies in the past one year, it is seeking to become the second most valued hospital firm in the country. It is eyeing a market capitalisation of over Rs 16,000 crore just behind India's largest hospital chain Apollo Hospitals and more than the combined value of two other listed entities Fortis Healthcare and Narayana Hrudayalaya. The proposed IPO is likely to be just a tad short of what microfinance firm Equitas raised in April this year. Equitas raised a total of Rs 2,184 crore including shares allotted to anchor investors in the public issue. Aster DM Healthcare's IPO is expected to be in the Rs 1900-2000 crore range, making it one of the biggest issues in recent times. Azad Moopen-led Aster DM Healthcare has been looking at a public float for at least two years. VCCircle had first reported in 2014 that the company has appointed Kotak Mahindra Capital and Bank of America Merrill Lynch as its bankers for the IPO. These two are among the seven bankers hired for the public issue. 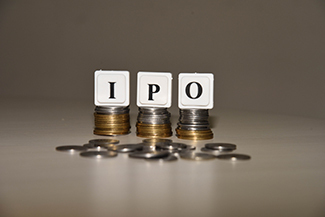 The IPO filing comes on the back of string of successful public floats in the past one year by healthcare companies including diagnostics chains Dr Lal PathLabs and Thyrocare, and Narayana Hrudayala, which was listed earlier this year. Another healthcare company eye care chain New Delhi Centre For Sight has also received SEBI approval for the IPO. Size: Issue comprises fresh share sale to mop up Rs 609-812 crore and offer for sale by promoters and PE firms worth additional Rs 1188-1291-crore. Bankers: Kotak Mahindra Capital, Bank of America Merrill Lynch, Goldman Sachs, Edelweiss, ICICI Securities, JM Financial and SBI Capital Market. The firm plans to use the money to purchase medical equipment (Rs 255 crore) and for repayment of debt (Rs 354 crore). It commenced business in 1987 as a single doctor clinic in Dubai by its doctor founder Azad Moopen. The company was incorporated in 2008 and all operations was consolidated under Aster DM Healthcare Ltd.
Aster DM Healthcare is one of the largest private healthcare service providers in Asia with operations in multiple countries including India, UAE, Oman, Saudi Arabia, Qatar, Kuwait, Bahrain, Jordan and the Philippines. It has diversified portfolio of healthcare facilities, consisting of six hospitals, 83 clinics and 180 retail pharmacies in the GCC states, seven multi-specialty hospitals and three clinics in India, and one clinic in the Philippines as of March 31, 2016. It also operates 180 standalone retail pharmacies in GCC states besides those integrated with its hospitals in India. It had 280 operating facilities, including 13 hospitals with a total of 2,537 beds, as of March 31, 2016. Further, it recently acquired a 29.97% stake in Dr Ramesh Hospitals that owns and operates three hospitals in Andhra Pradesh and has the agreement to buy majority stake in it. Its hospitals in India are located in Kochi, Kolhapur, Kozhikode, Kottakkal, Bengaluru and Hyderabad and are generally operated under the “Aster”, “MIMS” or “Prime” brands. Its clinics in India are located at Kozhikode and Bengaluru. The company had a total employee base of 12,774 as of March 31, 2016, including 1,003 full time doctors, 4,406 nurses, 1,063 pharmacists, 1,285 paramedics and 5,017 other employees. The company's net revenues more than tripled from Rs 1,181.42 crore in fiscal year ended March 31, 2012 to Rs 3,875.8 crore in FY15. In the same period its net profit rose from Rs 52.3 crore to Rs 168 crore. For the first nine months of FY16 (April-December 2015) the firm reported net revenues of Rs 3731.51 with net profit of Rs 71.32 crore. Its margins have come under pressure last year and it is eyeing an aggressive valuation of around 160 times its annualised net profit for FY16. In contrast, Apollo Hospitals is trading at 55x FY16 net profit. To be fair, the most recent listing in the sector- Narayana Hrudayala- is also trading at heavy premium to its earnings per share for FY16. In 2012, Olympus Capital invested $100 million through a mix of primary share purchase and secondary transaction which saw existing investor IVFA part exit. IVFA invested over $50 million in two rounds in the company in 2008 and 2011. Both PE firms are offloading part of their stake in the offer for sale portion of the IPO. Aster DM Healthcare Pvt. Ltd.